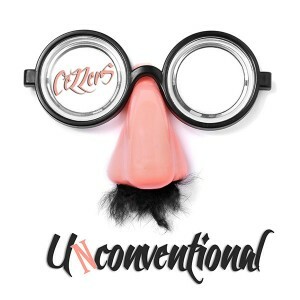 “If everyone is thinking alike then somebody isn’t thinking at all…” Unconventional is the third release by CeZZers, an Israeli hybrid progressive psytrance duo. Prepare your ears for a twisted psychedelic venture infusing conceptual cinematic ideas with pure energetic momentum. Each track tells a different story while leaving room for your individual imagination to run wild. Open your mind and boogie down! Mastering and artwork by CeZZers. MP3 Download | FLAC Download | WAV Download · Download count: 7,048. FLAC archive is broken, tried downloading 4 times. FLAC archive is a dud. Third track can’t be extracted. I replaced the FLAC archive… should be good now, please confirm. Huge thank’s for the comments everybody ! Well thought out and innovative transitions. Like these guys. Solid stuff Rock ON! Literally jumping through the roof!